PGA Merchandise Show- New Products to Test! It’s begun… one of the biggest Golf Merchandise Shows in the country. This week I’m focused on all the action in Orlando, FL. The PGA Merchandise Show is attended by thousands of golf professionals and media personnel, eager to see and experience the latest in golf today. First day, and a mandatory take, is Golf Demo Day at Orange National. Centered around one of the largest circular driving ranges (over 400 yards across)- golfers get to try out the latest equipment in a fun party atmosphere. I’ve been to Demo Day at least three times and it is one great time! Vendors are eager to have you test their latest club or gizmo. According to CBS’s Kyle Porter, the stars of the show this year, were not the latest clubs, but the new ways you can travel around the golf course: the Golf Board getting the most buzz. The Board was introduced a couple of years ago and was met with a bit of apprehension – but today, with golfers wanting to speed up play and courses eager to encourage more busy people to take up the game, the GolfBoard is becoming a welcome addition to the game! They’re pricey (standard model sells for $6,500) so I don’t expect my club is going to get a fleet very soon…. but it is something to consider for the future! Wouldn’t you look super cool whizzing around your course, hair blowing in the wind? I Want One of These!!!! Another innovative item I’ve seen in action is the The Golf Swing Shirt. 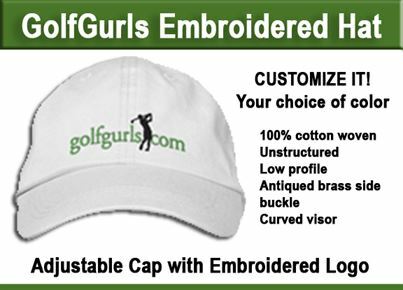 I wrote about this product and the PGA Show in another post here on GolfGurls. (http://golfgurls.com/pga-demo-day-leads-week-orlando) The vendor gave me a swing shirt as a sample and I tried it out. Unfortunately the shirt I got was the wrong size so I passed it on. Watch Michael Breed demonstrate in the video below. Lots more to explore. Watch for future product reviews. 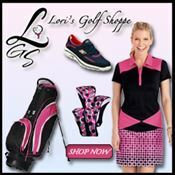 Have you seen a new product you would like me to review here on GolfGurls? Add your ideas and suggestions in the comments section below.